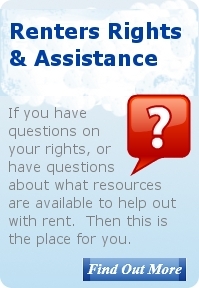 Renter's Rights and Housing Assistance Info. Websites, Phone Numbers, and Other Stuff. Information from the Minnesota Attorney General's Office. Information from the South Dakota Attorney General's Office. Landlord and tenant issues start on page 45. HOME Line is an organization that fights for tenants in Minnesota. HOME Line provides free legal, organizing, educational and advocacy services so tenants throughout Minnesota can solve their own rental housing problems. HOME Line works to improve public and private policies relating to rental housing by involving affected tenants in the process. Common Questions on HUD Housing Assistance and Section 8. Are you having a dispute with your landlord? Need a Lawyer. The services below just may help. Is there a site you think should be included here. Send us an email and let us know.